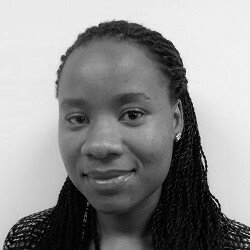 Sharon Kgowedi, joined HE2RO in March 2016 as an Associate Researcher. Sharon holds a degree in BCom Statistics from the University of Pretoria and has Economics background. She is currently finishing off her BSc Honours and has completed her Research report: Validation of ASSIST (Approaches and Study Skills Inventory for Students) questionnaire. She has worked as a Trainee Statistical Analyst. She is currently involved in research related to “Assessing the Impact of Integration of HIV and TB Services into Primary Health Services in the Public Sector in South Africa: An evaluation of resource utilization at facility level” and “Addressing Prong Two of UNAIDS’s Strategy for PMTCT through Improved Provision of Contraceptive Services in South Africa: Exploring opportunities to meet women’s needs and using modelling to estimate the resource requirements for scaling up”.